It’s no secret having children is expensive. If your kids play sports, the costs quickly escalate. Not only do you pay registration or team fees, but you’ll also need to make sure your son or daughter has the right equipment. And unless your children are runners, their sports of choice likely requires plenty of gear you’ll need to purchase. For example, my 11-year-old daughter plays soccer on a traveling team. She not only needs cleats for playing outside, but also special shoes for the indoor season. She also needs shin guards and socks tall enough to go over them, as well as a couple of soccer balls. Since she’s on a team, she needed a uniform, which cost about $75 and will last two years if we’re lucky. We also opted to buy her a special backpack to carry all her gear as part of a birthday present (another $75), and buy a used, full-sized soccer goal for $50 so she could practice her skills at home. That’s just one sport — and soccer doesn’t require much personal equipment. Kids in other sports, such as hockey and baseball, usually need a lot more gear: gloves, bats, helmets, a bag to carry it all in… you get the picture. And kids grow quickly, so they may need larger sizes each year. My daughter’s soccer league has a page on its website for parents to post equipment they want to sell. It’s a great way to make a little money back from gear your child has outgrown, and an ideal place to find deals on pre-owned equipment. 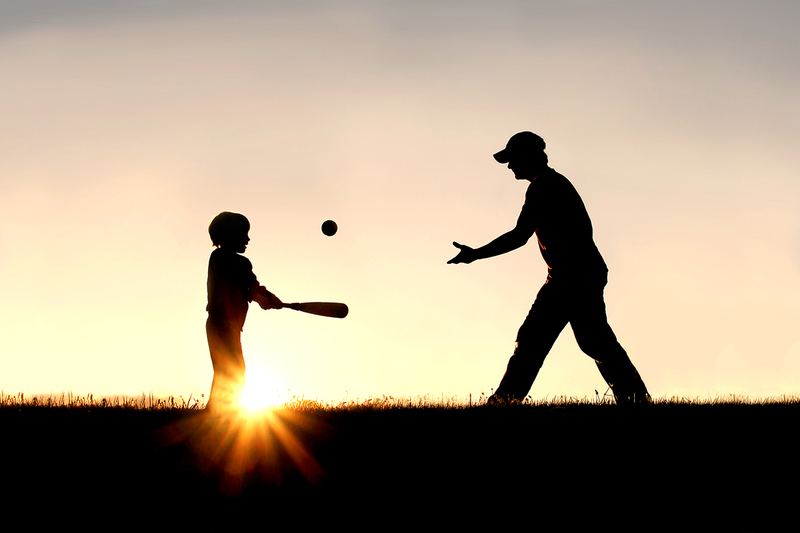 Post on Facebook that you’re looking for a baseball helmet for your son, and you may be surprised how many of your friends, family members or acquaintances have some equipment they’re willing to give you or sell for a low price. Many families have equipment in their garages or basements that they don’t know what to do with, and you could help take it off their hands. If you’re in a sport like tennis where you need a lot of balls, have one parent buy the items in bulk. Then, split up the supplies (and their cost) among the interested families. If your child is just starting out, he doesn’t need brand-new equipment. Keep an eye out for local rummage sales, yard sales and garage sales to see what kind of used gear you can find, such as bats, balls, gloves and more. At one recent rummage sale I visited, a family was selling a whole box of baseballs and softballs for 5 cents each. That was a perfect purchase for a family with kids in baseball or softball. Resale and consignment stores focused on athletic equipment are great places to pick up both used and sometimes new gear and clothing. They’re also great ways to make a little money back on equipment your child has outgrown. Many thrift stores get donations from people cleaning out their garages, so you may be able to pick up the right-sized glove for your daughter. And don’t forget regular consignment stores. I once found a pair of cleats for my daughter at a consignment store for a fraction of what they would have cost new. Local Facebook resale groups are quickly replacing Craigslist as the go-to place to buy and sell a variety of items, including sporting goods. If you’re not already a member of a local Facebook group, find one and keep your eyes open for sporting gear. You can also post the items you’re looking for, and someone may have just what you need — at a price far lower than what you’d pay in a sporting goods store. While this tip isn’t about where to find a great deal, figuring out if your daughter really needs every single piece of equipment right out of the gate can save you a significant amount of money. Check with your child’s coach to see if she has extra batting helmets or other equipment the kids can use during practices and games. This is an especially useful tip for kids just starting out. My daughter played one year of T-ball before deciding she didn’t like it. I’m glad we didn’t buy her anything — she just used a glove I bought at a rummage sale for her brother, who also spent just one year playing the game. Your Turn: How do you save money on your children’s sporting gear?